Whether it’s in the form of a detailed review on Google, an overall star rating on Credit Karma or Lending Tree, personalized recommendations on MyBankTracker, or a candid comment on Facebook, the opinions, experiences, and feedback shared by banking customers have the power to influence the behavior of those shopping for banking and financial products. 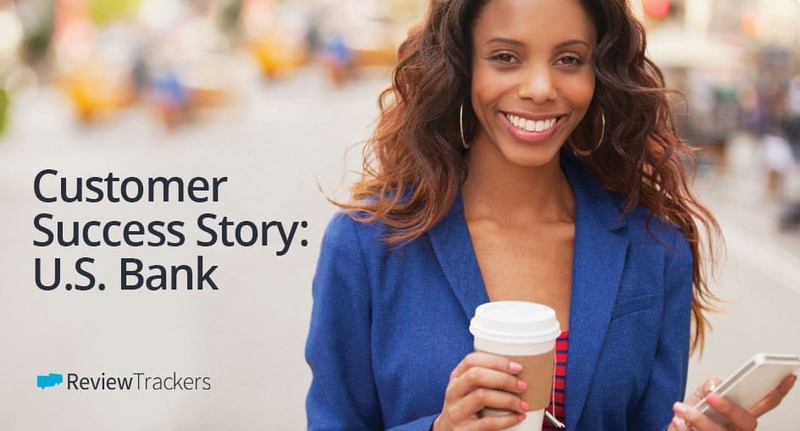 Discover how U.S Bank uses ReviewTrackers to measure the customer experience. Download the PDF by submitting the form below. 1 in 5 consumers say they have made a financial decision based on a review or recommendation of a credit card or banking service. Banking consumers are not shy about sharing their opinions, with almost half — 49 percent — recommending credit cards and banking products to others several times a year. Consumers agree that reputation, including online reviews and online customer feedback, is a “very important” factor in deciding whether or not to trust a bank or financial services provider. Beyond improving their mix of products or providing transactional convenience, banking industry executives are now focusing on ways to more effectively manage and harness their online reviews and customer feedback. Online reviews and customer feedback play a crucial role in helping consumers make smarter banking and money decisions. U.S. Bank, a financial services company headquartered in Minneapolis, Minnesota, is committed to delivering the best possible experience for its customers. As part of this commitment, the company keeps a pulse on what people are saying online — on social media and online review sites — about its own products and services. Recently featured in American Banker, Troy goes on to explain the processes behind the successes and the merits of online reviews.